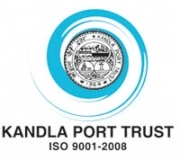 GANDHIDHAM: Kandla Port has handled 17% more traffic during the first month of financial year 2016-17 as compared to corresponding month of last year i.e. April’15. A quantity of 79.07 lakh MTs has been handled in Apr’16 as compared to 67.46 lakh MTs handled in Apr’15. The Dry cargo at Kandla has increased by 2.12 lakhs or 10% and Liquid cargo at Kandla has increased by 1.68 lakhs or 20%, during Apr’16 as compared to Apr’15.